Epic Games thinks there's more than enough room in the mobile gaming market for AAA-level apps that cost a bit more than $1. There's been a lot of doom and gloom in the industry lately about how the low cost of tiny $1 games that people can play in bite-sized chunks on their phones - set against the rising cost of AAA-level development - could be the beginning of the end for big-budget games. Epic Games' European territory manager Mike Gamble thinks that's a load of bunk. There's absolutely an audience for AAA games on mobile devices like iOS and Android, Gamble said at an Unreal University event in London, reports CVG, and he used the tremendously successful Infinity Blade as an example. "Experience tells us that if you create content with high production values the audience will buy it," said Gamble. "You're customers, what would you prefer to do: Buy a game like Infinity Blade for $6 with plenty of gameplay, good production values that offers a visceral experience; or pay 99c for something you play once and never ever go back to?" 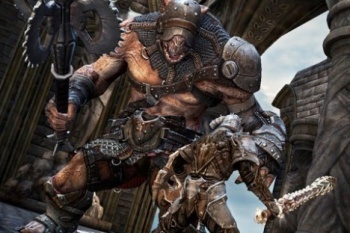 Gamble acknowledged that Infinity Blade was a special case since Apple "picked it up and promoted it heavily on TV, etc," but said that it was still proof that the market existed for games like it - and that Epic had made more than $11 million from the game even after Apple had taken its cut. "There's an audience out there who want to play good quality games on mobile devices - whether it be pads or smartphones."